These are HP 15-ch011nr drivers for Windows 10 64 bit you can download and install to get your laptop work properly. 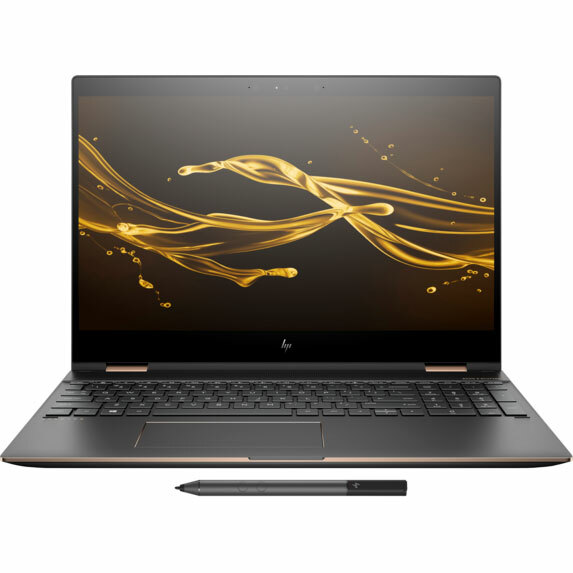 The HP Spectre x360 15-ch011nr is 15.6-inches laptop powered by 1.8 GHz Intel Core i7-8550U quad-core processor with discrete NVIDIA® GeForce® MX150 with 2 GB GDDR5 dedicated VRAM. This HP Spectre x360 notebook comes with 16 GB DDR4-2133 SDRAM memory and fast 512 GB PCIe® NVMe™ M.2 SSD to store your documents. This 2-in-1 convertible mobile computer features Intel 802.11b/g/n/ac (2x2) Wi-Fi, Bluetooth 4.2 Combo, Thunderbolt 3 port, DisplayPort 2.1, USB 3.1 Type-C Gen 1 port, USB 3.1 Gen 1 (HP Sleep and Charge), HDMI, multi-format SD media card reader slot, quad speaker with Bang & Olufsen audio technology, full HD web camera, and 6-cell 84 Wh Li-ion battery with up to 13 hours battery life.